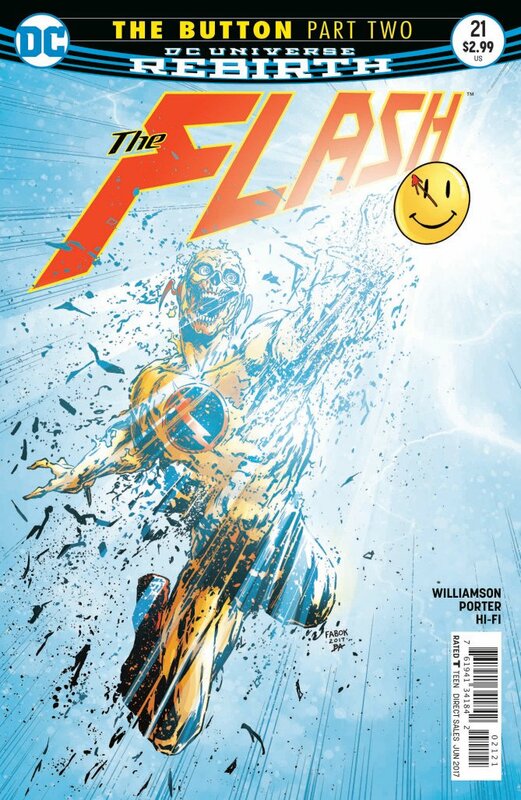 Despite the first chapter giving the impression of a slow burn, “The Button” handily turned things around today, living up to the potential of what such an important crossover should be. 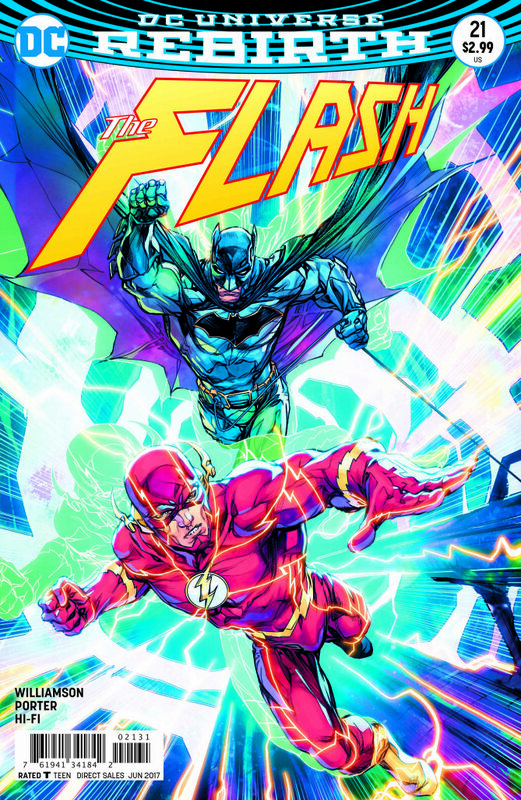 Suffice it to say, if you read only one DC book this week, make it The Flash #21. 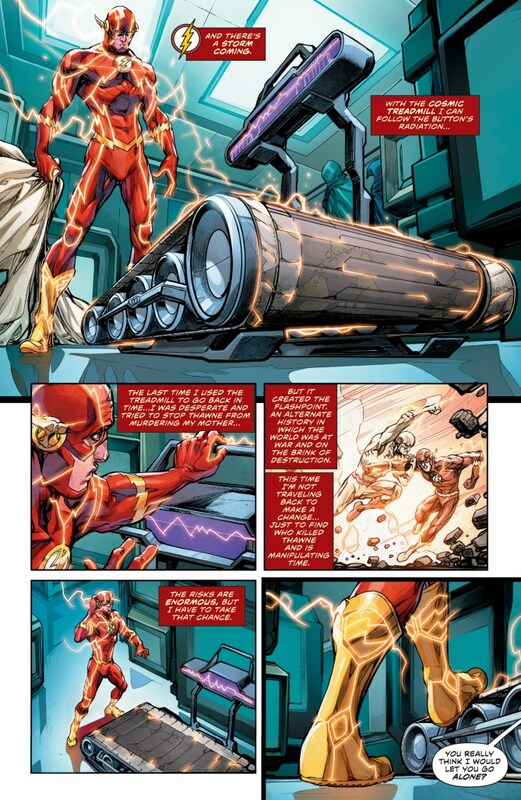 After being knocked silly by the Reverse-Flash (yep, we’re calling him that yet again, hyphen and all) last week, Batman and the Scarlet Speedster get down to business by trying to find out just who was responsible for Eobard Thawne’s death. 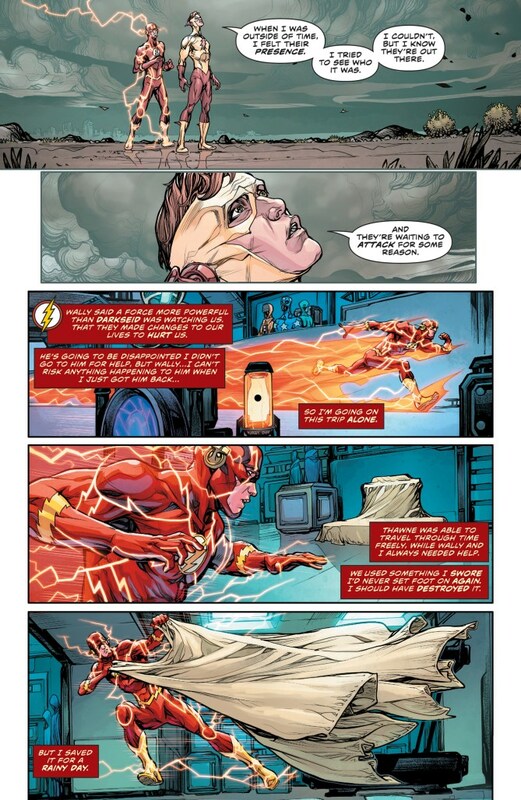 The problem is that the Comedian’s button – radiation and all – is now gone, but, of course, Barry Allen’s solution is what every meme making fun of him centers on: Messing with the timeline. You see, he intends on going to the past in search of clues and the Dark Knight insists on coming with. Well, if he doesn’t, we wouldn’t have a comic book to read, now would we? There’s just one astronomical problem: When our two heroes arrive at their destination, they’re not in their own past. No. 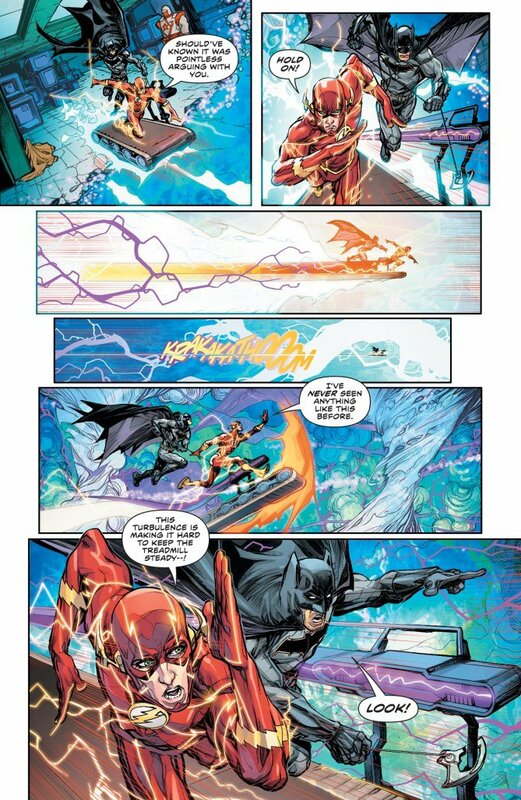 They’ve somehow been transported to the world of Flashpoint. 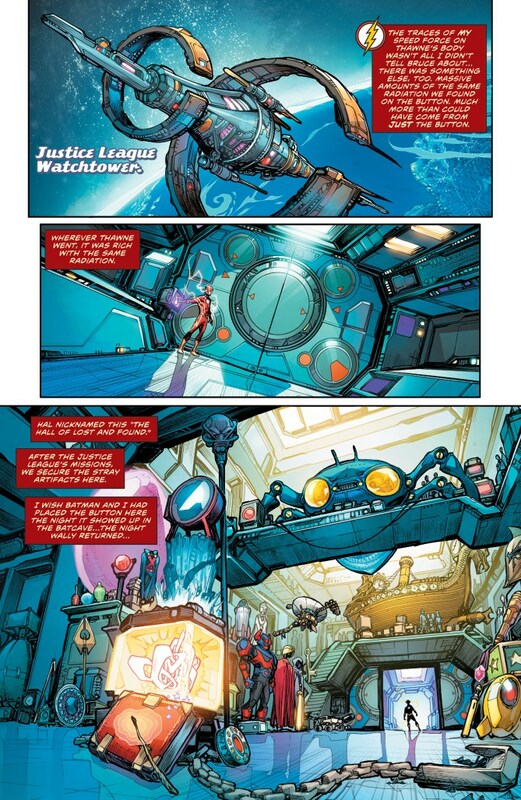 Now, this likely has to be before the Atlantis-Themyscira war destroyed that world because Thomas Wayne’s Batcave is fully intact, as is he. 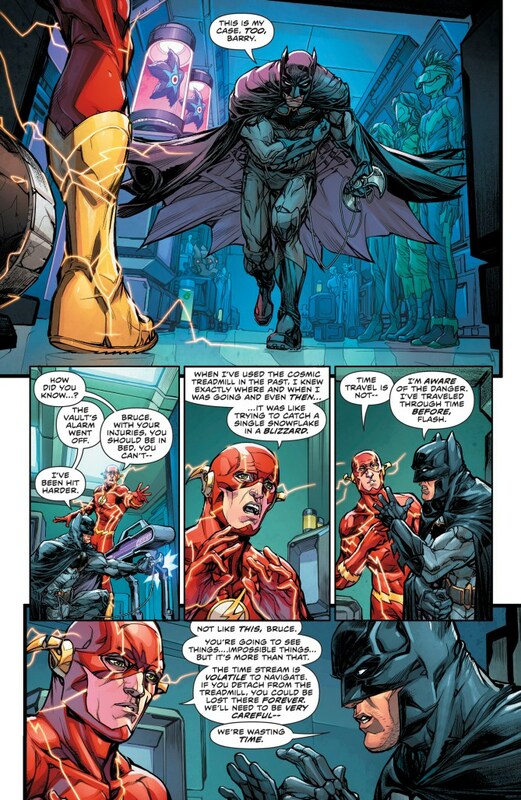 And, you guessed it, Batman meets Batman, or, rather, father meets son in one hell of a cliffhanger. Admittedly, such a thing was to be expected given the covers that were solicited in advance, but this foreseen development makes the tale no less exciting. As for what this may mean for the final two chapters, your guess is as good as ours. Odds are DC editorial isn’t going to completely blow the lid off Rebirth’s biggest mystery until around summer 2018, but let’s hold out hope that they’re at least willing to throw us a bone in the meantime when it comes to whatever’s going on with the Watchmen characters. 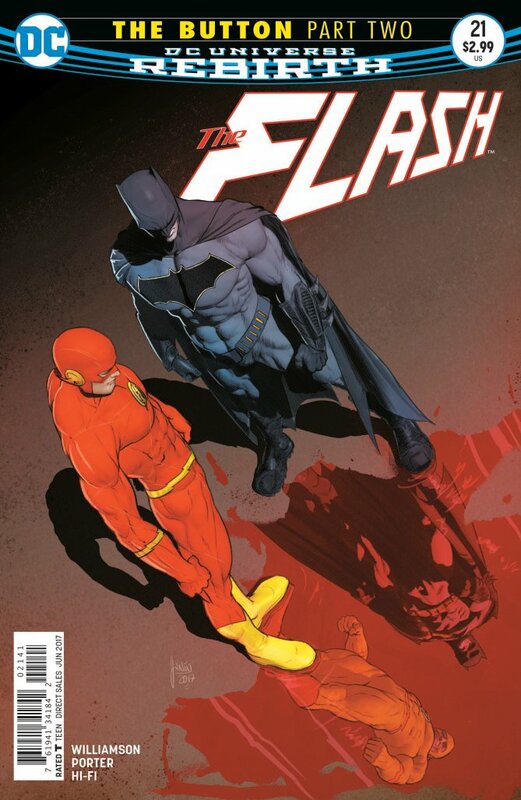 The Flash #21 is now available in comic shops. For more, be sure to check out our review.